Mona had terrible memories of Ed mistreating her mother. It was a tense moment as Lawrence listened to her reminisce about a part of Ed’s life that he would have probably rather kept secret. I asked if Ed and Ella ever remarried and Lawrence said no, that there was a “bed and board” arrangement where Ed only slept and ate in the home. Mona felt her parents got along better after their divorce, implying some sort of reconciliation, while Lawrence remembered Ed giving young women small bottles of “Radio Girl” perfume he bought at a five and dime store. Not long after Ed’s return to Ashland, he made the home recordings. I asked Mona which tunes she liked the best from Ed’s repertoire. 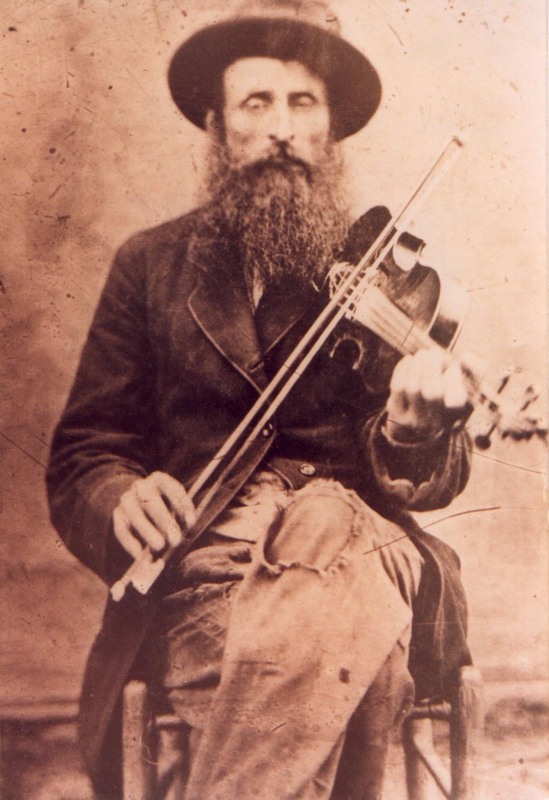 In Ed’s later years, he grew a beard and didn’t bath because “it was a waste of water.” He would seldom play the fiddle for Mona when she visited from South Point, Ohio. He was pretty bitter about music, especially what was broadcast over the radio in those days. “Did your daddy like Bill Monroe?” I asked. 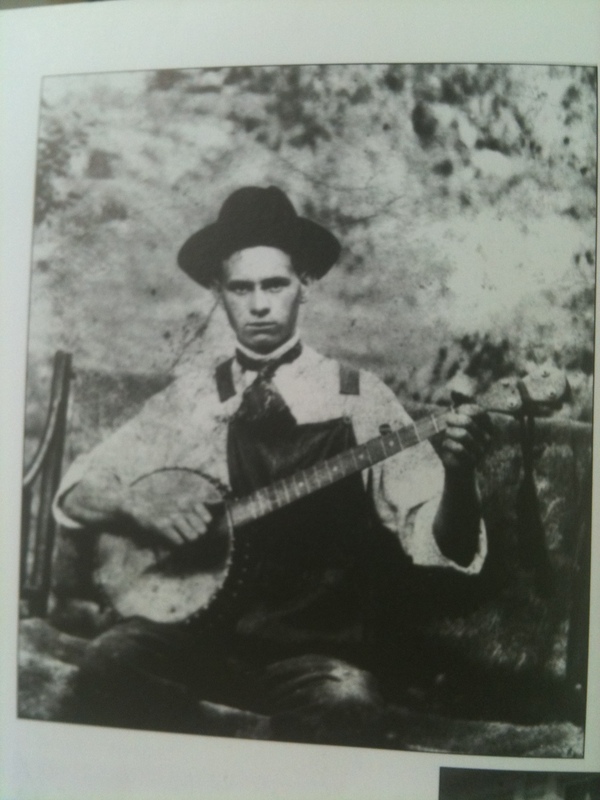 “He didn’t like too much bluegrass,” Lawrence said. “Did your Dad ever talk about or listen to anybody like Roy Acuff or did he ever listen to the Grand Ole Opry?” I asked. “I don’t think he’d have much to do with Roy Acuff,” Lawrence said. “He didn’t much care for Natchee, did he?” I asked. Mona thought the last time Pop played was with Bill Bowler in Ironton, Ohio. He died not too long afterward at 2144 Greenup Avenue. After Ed’s death, Ella gave their records, which had been wrapped and put in storage, to the children. Mona lost a few of hers when she sent them to Clyde, who was incarcerated at San Quentin in California (“he never brought them back with him”). 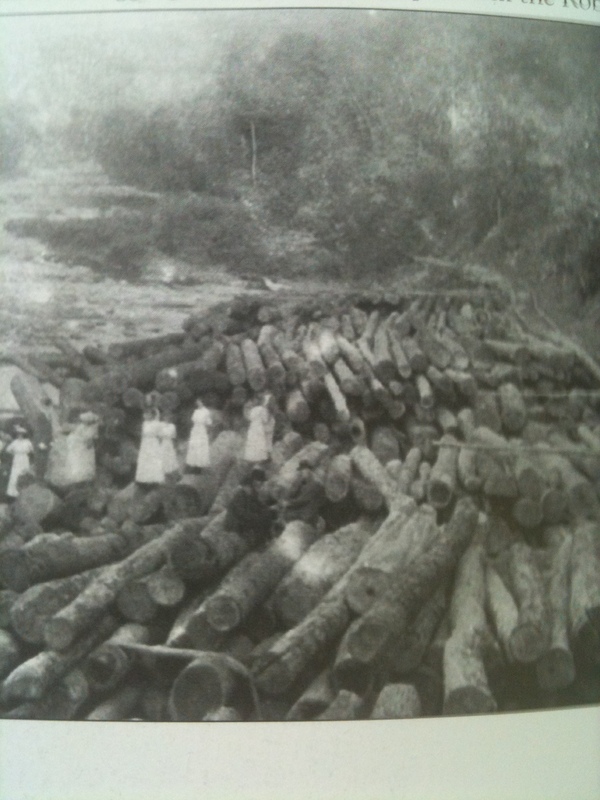 Around 1956, she lost the rest after leaving them in a trunk at the home of a good friend Dorothy Bates in Ironton. She later came back to get the trunk but Dorothy had moved away. Ed was good at predicting the future. “Pop said machines was gonna take over man’s work and we was gonna go to the moon one day,” Mona said. She figured he wrote the song “Come Take A Trip in My Airship” because it sounded like his kind of foresight. Mona said she remembered some of Ed’s stories but warned me that I wouldn’t want to hear them. Mona said Ed always set up in towns near a movie theatre so the kids could watch movies. Ed was “all business” but would talk to people if they came up to him. In Logan County, Ed visited Pink and Hester Mullins on Mud Fork and Rosie Day’s daughter Nora Martin in Aracoma. Mona said Ed was also friends with a famous boxer in town whose father played the fiddle, but she couldn’t remember his name. I later learned from Lawrence that it was Jack Dempsey, the heavyweight champion of the world from 1919-1926. Dempsey wrote in his biography that his father had fiddled “Turkey in the Straw” so much that all the children thought it was the National Anthem. Done got the [ma]chines in my mind, Lord, Lord. Done got the ‘chines in my mind. ‘Chines in my mind and I can’t make a dime. My old gal got mad at me. I never did her any harm. We all met up with Mona later in the day. She acted surprised that I was even interested in seeing her again, joking, “I’m good for something, aren’t I?” She was extremely talkative and almost immediately took over the conversation in a way that gave me the impression she really knew a great deal about Ed and Ella’s music. It was quite a different presentation than my first meeting with her. Mona was sure the measles had caused her father to go blind, not Milt or ice water. She said Ed started playing the fiddle when he was small and never talked about learning from anyone. Mona knew little else about Ed’s life on Harts Creek. Mona was quick to mention Ella, pointing out that “she figures in a lot of this, too.” I agreed, of course, but hadn’t been able to find out much about her from Lawrence, who seemed to keep his memories of her to himself. Every time Pat brought her name up, he said things like, “John doesn’t want to hear about Mom — he wants to know about Pop.” He always said it in a straightforward way that I knew to basically avoid the subject, as did Pat. Mona said her parents met when Ella came to one of Ed’s “concerts”. Mona’s pride in Ed and Ella seemed a little more on-the-surface than what I had detected with Lawrence. She said she was probably the real rogue of the family. The next day, Lawrence and I dropped in on Noah and told him about our intentions to find Milt Haley’s grave on Harts Creek. He said he had gone to Harts some time ago only to find that everyone who ever knew his father had passed away. Lawrence said Joe Mullins was still around so far as he knew. Joe was a first cousin to Ed and the son of Uncle Peter Mullins…as well as Lawrence’s major source of information about his father’s early life. Noah, Lawrence explained, was referring here to Noah Mullins, a first cousin to his dad and a brother to Joe. Noah Haley was named after him, although it seemed apparent to me he thought more of his mother’s people than his father’s on Harts Creek. Unlike Lawrence and Mona, Noah seemed to have no musical inclination whatsoever. Make two notes in other words? Noah remembered Ed living at several different places around Ashland. Noah told me about Ed and Ella going downtown to play on the streets. Lawrence said his oldest brother Ralph was a part of the act during the First World War. Noah didn’t hesitate to brag on his father. Speaking of Harts Creek, I wondered if Ed had ever talked about learning to play the fiddle from anyone around there. Noah said no — “he just took it up hisself when he was a kid.” He and Lawrence both agreed that Ed never talked about his early life and only seldom mentioned his parents. Well, that sure was a different version of things from what Lawrence had initially heard from his dad — and it was much closer to the truth. Later that evening, Lawrence showed a 1989 home movie of him reminiscing with Clyde, Noah and Mona about their father at Christmas. I immediately focused in on Clyde, a natural storyteller who swooped his arms at just the right moments and embellished every detail. He mostly talked about Ed getting into a fight with someone named Frank Creech. Pat said she and Lawrence had told Clyde about me — that he was somewhere near Stockton, California. “Well, he was there for, I would say, eighteen months and he hangs around all the rough, low-down places,” she said. That night, I played some of Ed’s tunes for Lawrence in his kitchen. In spite of the great story opening up about Milt Haley, I didn’t lose sight of the music and my quest to understand it. As I played, Lawrence was brutally honest. “Did you hear a few real strong driving notes in that and then some really weak ones that didn’t hardly get out?” he asked. “Pretty good — but never just like my dad,” he stated flatly. The closest I came to gaining his approval was when I played “Bonaparte’s Retreat”. “Your cannons sounded very good,” Pat added politely. Ain’t nobody home but me. And a dime’s a dime. I wondered if Ed’s talent as, or even fondness for, being a multi-instrumentalist had been somewhat overstated. It seemed a little odd that, among the hundreds of home recordings, there was not one single sample of him playing anything but the fiddle. Of course, I didn’t bring this up to Lawrence because I totally believed him. Besides, he seemed a little cranky. Pat said she remembered Ed playing something about “going down the Mississippi” and Lawrence said it was the “Battle of New Orleans”.